These Monitor Stands Have a Solid MDF Wood Construction with a Metal LCD Bracket! These Office Furniture Pieces Will Present Two and One Screen Presentations! These Monitor Stands Are Top Selling Items! Mahogany veneer covers the MDF wood for added style. Shelving for mounting a camera adjusts to meet the sightlines of audiences. Comes with a six outlet power strip for plugging in electronics. 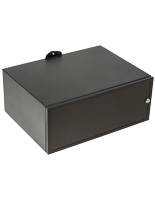 These monitor stands, sometimes referred to as LCD bracket displays, have the standard 19" wide rack mount for organizing the audio and visual equipment. 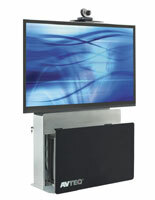 The flat screen displays grant users two cabinet spaces, one of which slides out and rotates to access the rack mounts. 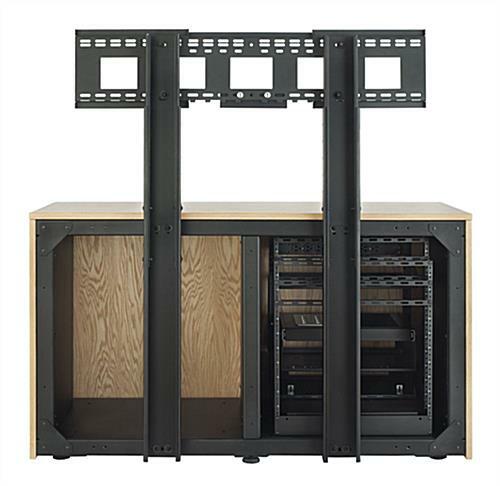 These monitor stands with 12 rack units of space holds either one 70" screens or two 55" televisions. The LCD bracket displays feature the VESA mounting holes to correspond with the installation pattern on most screens. 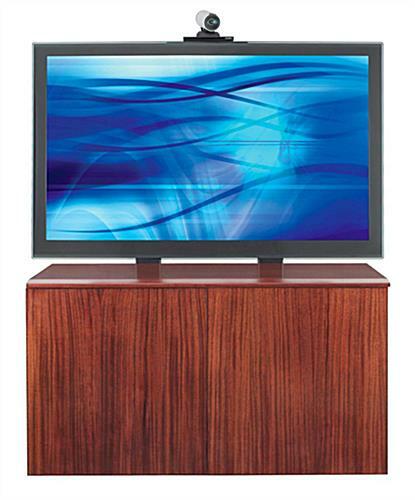 These monitor stands have a MDF wood construction with a mahogany veneer for visual appeal. 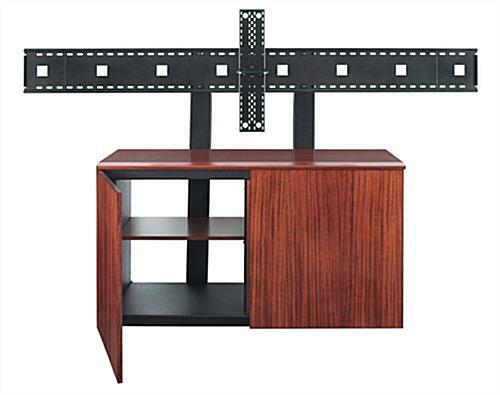 The office furniture comes with a video camera shelf that adjusts to the best angle. 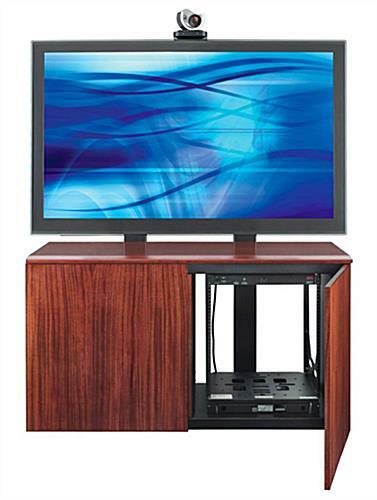 These monitor stands includes the surge protector to power six different electronic pieces of equipment. The office furniture can be set-up in all sorts of conference rooms or boardrooms with great aplomb. 46.0" x 23.0" x 22.0"